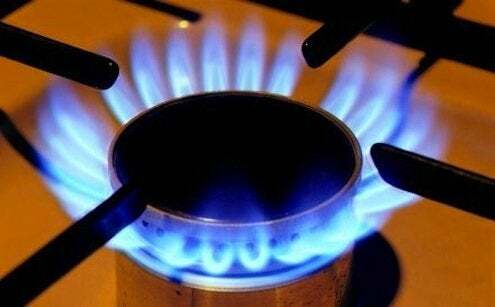 Cooking with gas costs half what it costs to cook on electric ranges. Keeping your range clean will keep it efficient. Spattered, cooked-on food can clog the openings of the burner assembly, making it burn inefficiently. After a while, the burner can fail to light, driving some people to break out the matches. Your best bet is to wipe up spills with warm soapy water right after they happen. Avoid abrasive cleansers that will scratch the finish. Just like a car, you should check under the hood every few months. You can lift up the whole top of your range by pulling out or up on the front corners of the top panel. There are small openings on the burner assembly that keep the flame functioning properly. Use a straight pin, a paperclip or fine wire to clean out but not enlarge them. Check the flash tube opening, the pilot opening if your range has one and the flame openings in the crown of the burner. Don’t use a toothpick or anything else that could break and clog the hole.